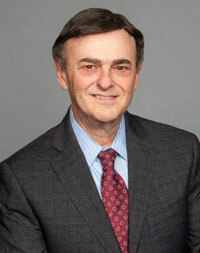 Leo M. Rozmaryn, M.D., is a board certified orthopaedic surgeon, with specialized fellowship training in reconstructive surgery of the hand and upper extremity and microvascular surgery. He also has a special interest in performing arts medicine. A native of New York City, Dr. Rozmaryn graduated from Queens College in 1977. He was the recipient of the Arthur Colwin Award for Academic Achievement in Biology, and the City University of New York’s Dr. Jonas E. Salk Scholarship. In 1981, he concluded his medical school training at the College of Physicians and Surgeons at Columbia University, New York. After fulfilling six years of surgical and orthopaedic training at Albert Einstein College of Medicine, Dr. Rozmaryn completed a combined fellowship training in hand and microvascular surgery at the Columbia Presbyterian Medical Center/New York Orthopaedic Hospital in New York City. Dr. Rozmaryn has attained the highest distinction in his specialty as a Fellow of the American Academy of Orthopaedic Surgeons and as an elected active member of the American Society for Surgery of the Hand. He is also a past President of the National Capital Society for Surgery of the Hand, and Adjunct Assistant Professor at Uniformed Services University of Health Sciences in Bethesda, Maryland. Board Certified in orthopaedics and recertified with additional qualifications for surgery of the hand. Dr Rozmaryn served as Chief of Orthopaedics at Shady Grove Adventist Hospital for 2005-2006. Dr. Rozmaryn has been selected by the Washingtonian Magazine as one of it's "Top Doctors" for the past nine years, and has just been selected by the Washington Post as one of it's "Super Doctors." Dr. Rozmaryn has participated in three disaster relief missions. First in 2005, he was in the first wave of volunteers flown down with the Maryland Air National Guard to New Orleans immediately after Hurricane Katrina and participated in setting up emergency outpatient clinics that treated 6,000 patients. The following year, Dr. Rozmaryn organized an emergency mission to help rebuild devastated villages in northern Israel immediately following the Lebanon war. In 2010, Dr. Rozmaryn was again spurred to action after the earthquake in Haiti, where he worked as an orthopaedic trauma surgeon at the University of Miami's Project MediShare field hospital in Port-au-Prince. Dr. Rozmaryn currently sits on the Ethics and Professionalism Committee of the American Society for Surgery of the Hand, and has just published a paper entitled: "Decency, Honor, and the Law in the Doctor/Patient Relationship". State of Maryland Washington, D.C.
For more information about Leo M Rozmaryn MD please click below links.